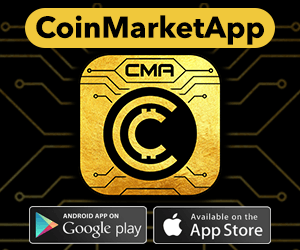 FINMA is advising a conservative approach to crypto-investment, telling banks to put plenty aside to offset potential losses. The influential Swiss Financial Markets Authority (FINMA) is reportedly advising banks under its regulation that cryptocurrency assets should be risk weighted at eight times their market value when it comes to calculating their capital buffers. Such risk weightings are part of a formula first instituted on a de facto global basis in 1988, under the so-called Basel accords created by the Basel Committee on Banking Supervision (BCBS), which recommends certain standards and regulations for banks. While FINMA holds no official policy position on the risk weighting of crypto held by banks, as it waits for official policy on cryptocurrency to be formulated by the BCBS – which is due to meet again this month – the website swissinfo.ch claims to have seen a confidential letter from the regulator, sent to auditor and tax advisory company ExpertSuisse, recommending they be considered high-risk investments. The story has been repeated by The Financial Times, along with guarded comment from FINMA on the matter. The risk weighting of an investment, forms part of a formulas – depending on the version of the Basel accords any particular country implements – that give guidance as to how much capital needs to be held by banks to offset potential losses – known as the Capital Adequacy Ratio (CAR). These CAR figures can then be audited and monitored by national financial regulators according to local rules. Thus, the 800% Risk Weighting allegedly recommended by FINMA means that, while they are no doubt considered to be a high-risk way for banks to invest their customer’s money, institutions will not necessarily be needing to hold 8x what their crypto-investment in their coffers just in case. For example, some ‘safer’ investment instruments, like government bonds, require nothing to be put aside as insurance against their potential failure, so a bank can potentially use these to offset riskier choices when calculating their CAR. Swissinfo.ch observes that the 800% rating puts cryptoassets on a similar level to banks ploughing money into hedge funds – which are rated in a similar way – and reflects the potential for volatility in the market, despite Bitcoin being in something of a lull. Depending of your point of view, the reaction of FINMA – which will no doubt be highly influential in any wider policy decision by the BCBS – can be seen in a couple of different lights. On one hand, it can be seen as a pseudo technocratic way of limiting banks’ exploration of the cryptocurrency space by limiting the kind of leverage they can apply to such investments. Another point of view, however, sees this as a regulatory body taking a pragmatic approach to the fact that a growing number of banks want to gain exposure to crypto-assets, and that they must take a regulatory stance – albeit on the conservative side – to reflect that and bring crypto into the established financial fold.